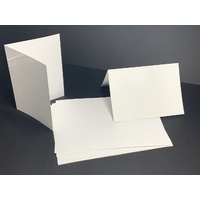 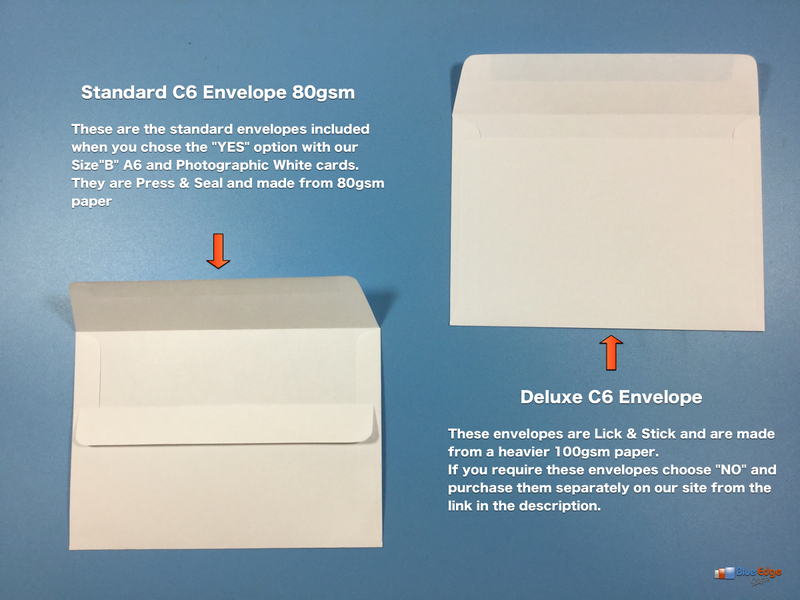 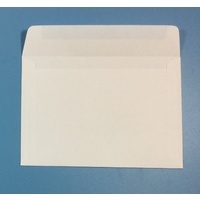 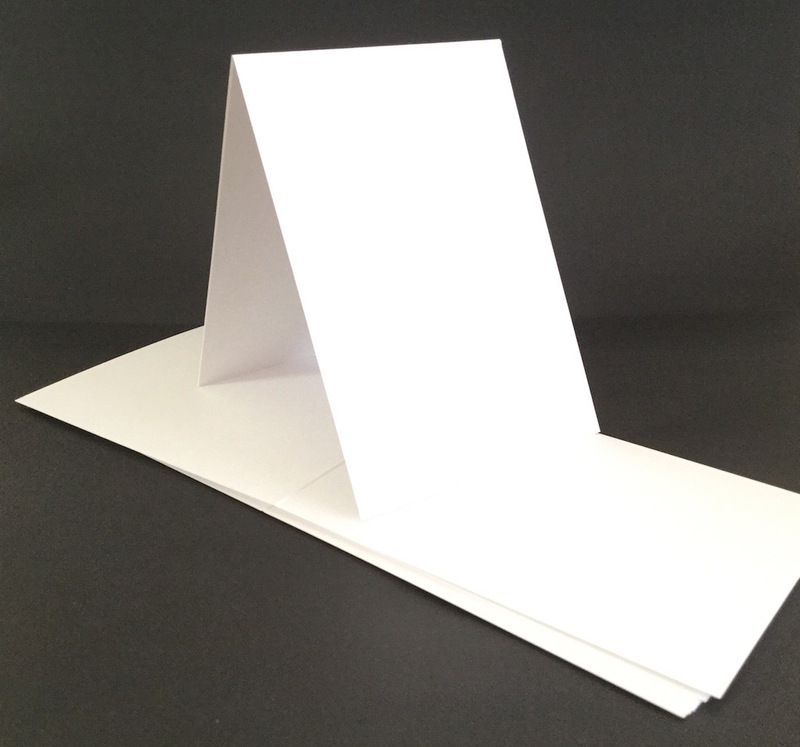 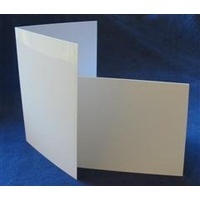 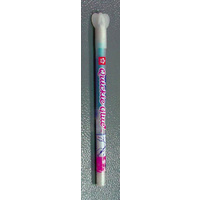 Tent fold or Top fold card white 300 gsm. 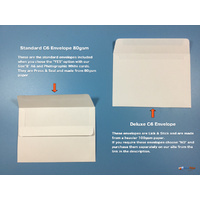 Size "B" (A6) Pack of 10 cards. 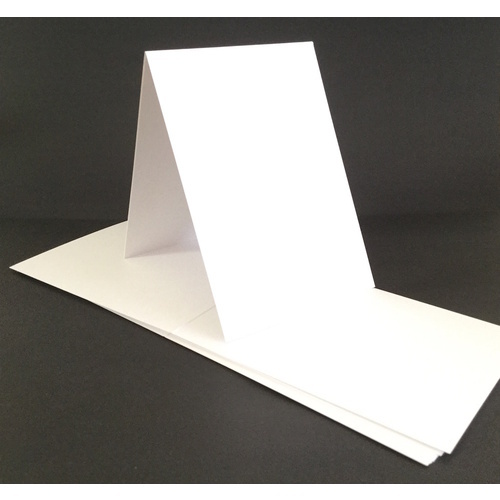 Pre-scored for quick and easy crease. 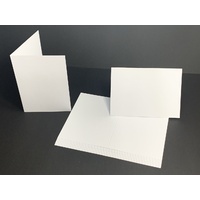 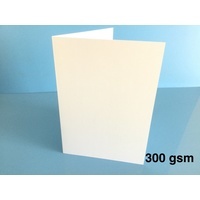 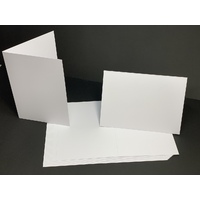 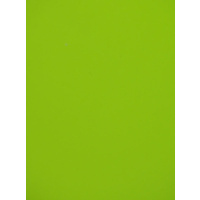 White 300gsm super thick and sturdy acid free card stock which is perfect for card making including invitations as well as greetings cards. 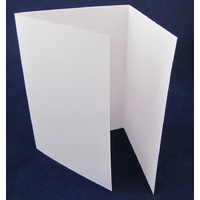 This tent or top fold design makes for an attractive and different way to present a card.